I created this look for the e.l.f. 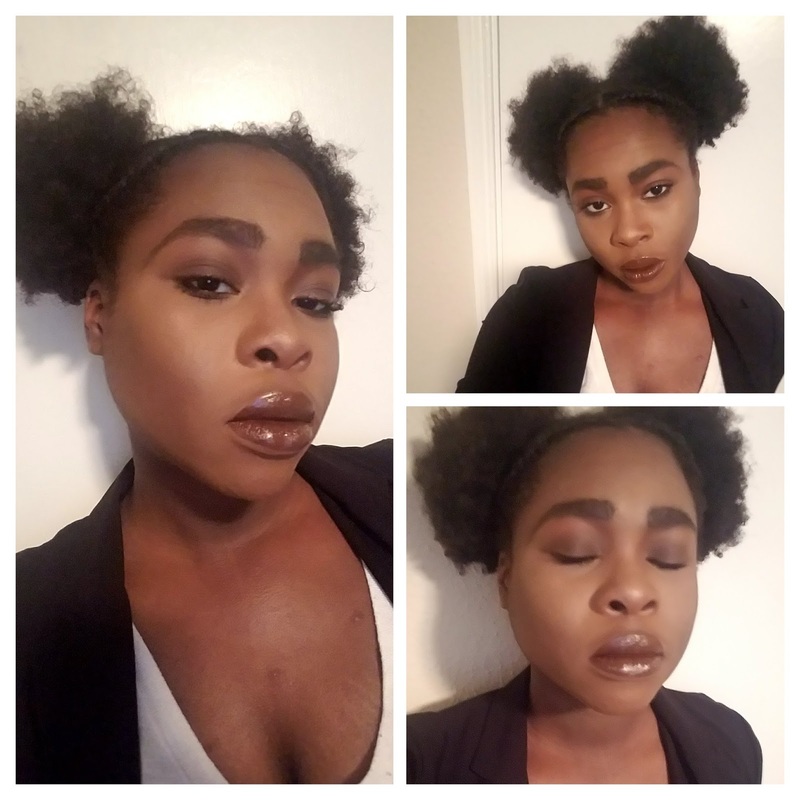 Beautyscape contest, so here's the tutorial on how I created this Chocolate Monochromatic Look! Step 1: Prime! I have oily-combination skin, so I like to use two different primers - a hydrating one and a mattifying one. I first used the Urban Decay Quick Fix Complexion Prep Priming Spray all over my face, and then I applied the Benefit POREfessional Matte Rescue gel in my T-zone. Step 2: Foundation! I used e.l.f. Aqua Beauty Mouse Foundation, but since I wanted a little more coverage, I mixed in the Urban Decay Velvetizer Translucent Mix-In Medium. Step 3: Concealer! I applied concealer to brighten my undereye area and cover any dark circles and to highlight the bridge of my nose. 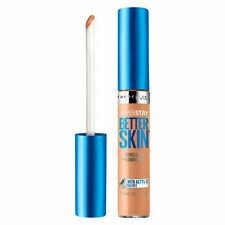 I used the Maybelline Super Stay Better Skin Concealer + Corrector in the shade Medium/Deep. I let my concealer sit for while before blending it out, so I can get maximum coverage! Step 4: Eyebrows! While waiting I'm waiting for my concealer, I filled in my eyebrows! 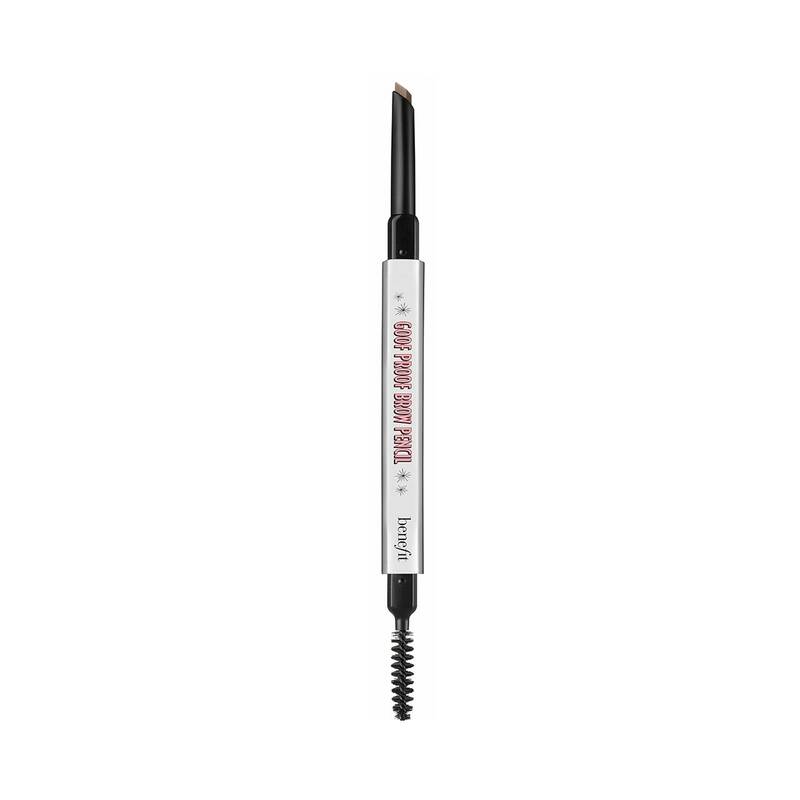 I used Benefit Goofproof Brow pencil in the shade Deep -06 to fill in by brows and then set them with Benefit 24-Hr Brow Setter. Step 5: Powder! I blended out my concealer, and immediately set it with powder! I used MAC x PatrickStarr Patrick's Powder. I baked under my eye, and also dusted the powder all over my face to set my foundation. Step 6: Bronzer! I applied bronzer to the perimeter and contours of my face. 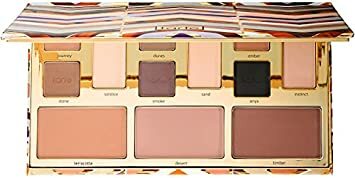 I used the darkest shade the Tarte Clay Play Face Shaping Palette. Step 7: Eyes! 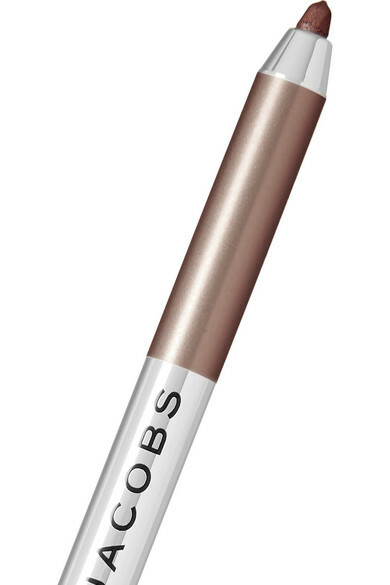 I first applied the MAC Pro Longwear Paint Pot in the shade Groundwork all over my lid as an eyeshadow base and primer. I used two different palettes for this look. I first used the shade, Sundae Funday (medium neutral brown) , from the Beauty Bakerie Eyescream Palette, and I blended that color into my crease. I then used the shade, Drive thru (warm dark brown), from that same palette, and blended that into my crease, focusing on the outer corner. Lastly, I applied the shade Peach Tart, from the Too Faced Just Peachy Mattes palette, all over my lid. Step 8: Highlight! I applied highlighter lightly to the tops of my checks, browbone, and bridge of my nose. I used the Becca Shimmering Skin Perfector in the shade, Opal. Step 9: Set! I used the Boscia White Charcoal Mattifying Setting Spray to set all the powders on my face. Step 10: Eyeliner and mascara! I applied liner to both tmy op and bottom lash line and I used the Marc Jacobs Highliner Gel Crayon in the shade Rococa (golden brown). 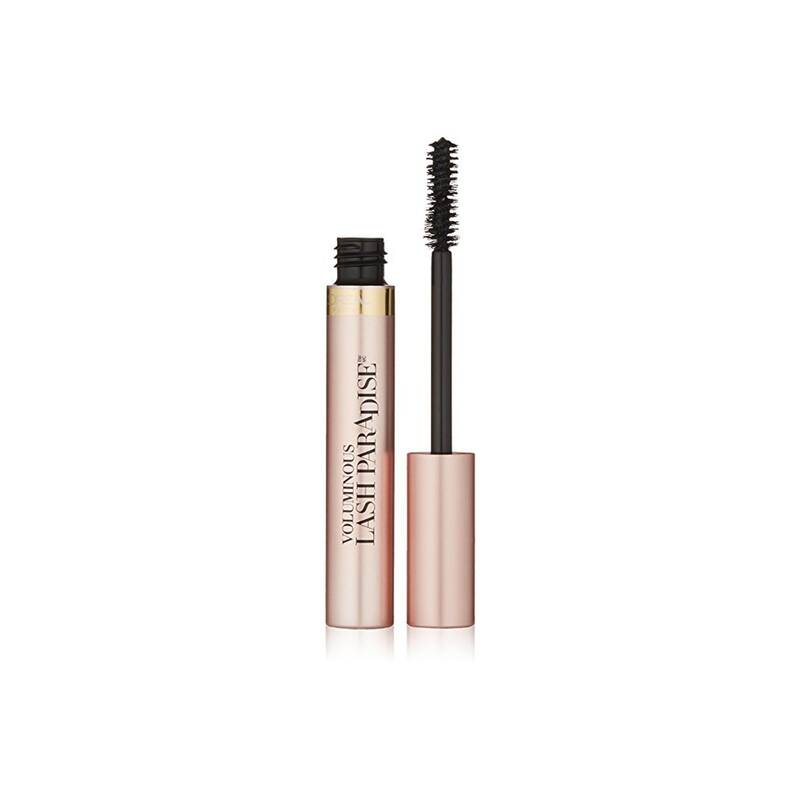 I then followed that with the L'oreal Voluminous Lash Paradise mascara. Step 11: Lips! I finished the look off with the Sephora #Lipstories Lipstick in the shade Fireside. Step 12: Selfie! Share on Facebook, Instagram, Snapchat, kerinskorner.com, etc.